Climate change is happening – and we are right in the middle of it. It is scientifically proven that average global temperatures are rising. Over the past 100 years, the earth has already warmed by an average of 0.7 degrees Celsius. Most of the warming has taken place over the last three decades. And we are already feeling the consequences of this warming very clearly. Frank-C. Steinbach has been a member of the “Climate Reality Leadership Corps” since 2013. He was trained by Al Gore, the former Vice President of the USA and Nobel Peace Prize winner, in Istanbul with 600 fellow combatants and was personally authorized to speak for him. He will report on the consequences of climate change and the current possibilities to slow down this disastrous development. He will also explain what individuals can do to adapt to a climate-friendly lifestyle. 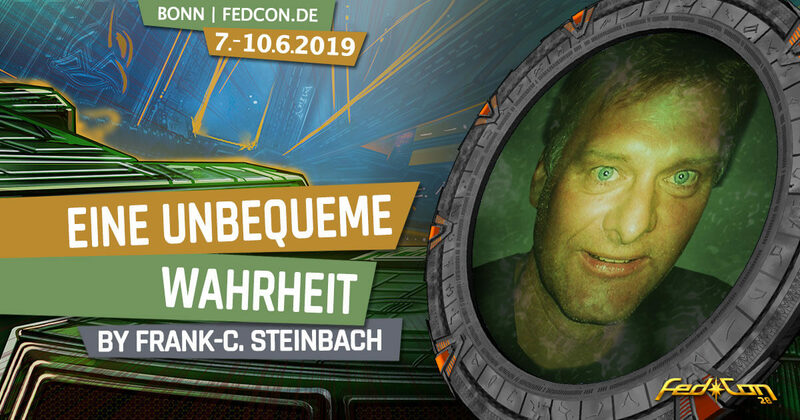 An uncomfortable truth that you can face on the FedCon. Mr Steinbach was born in 1965. He grew up in the Offenbach district and had a normal middle-class school career there. At that time he was a member of the Waldjugend and admired Greenpeace very much. Not least inspired by a Scottish engineer, he was interested in energy, its production, control and saving. In 1985 he finished school with the Abitur. As usual during the "Cold War" the military service followed. In the course of German reunification, he subsequently refused it for reasons of conscience. Still very down-to-earth, he learned the profession of electroplater. But the need to keep up with the times made him study mechanical engineering and social studies (politics) at the TU Darmstadt. This resulted in the First and Second State Exams. He is happily married and has children. In 1999 he started teaching at a vocational and technical school in Hesse. He is politically active and works locally to protect the environment.